A group set up to help parents at a city school to improve their English language skills has won a national award. Cathays High School’s Parents Learning Group has been recognised for an Inspire! Award after supporting families to live and learn together in Cardiff. The group was set up in 2014 for parents of children at Cathays High School, where around 50 languages are spoken, to learn or better their English and encourage reading at home. 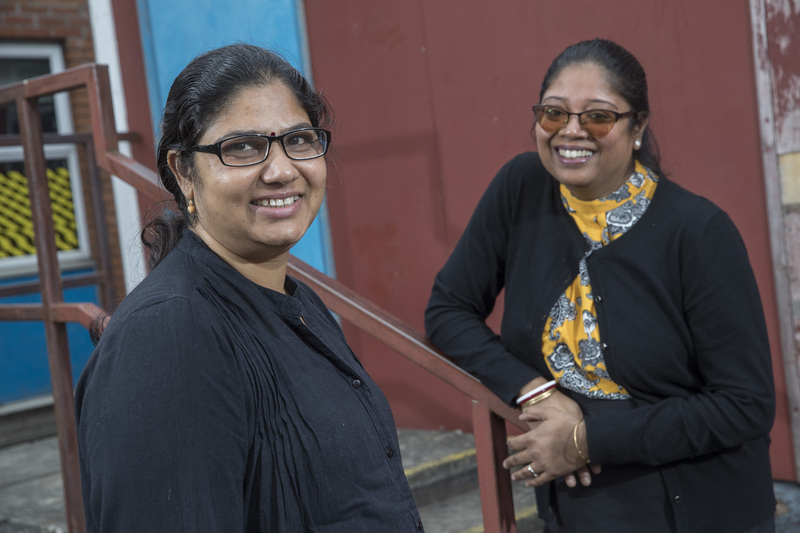 Christina Roy, a teaching assistant at the school originally from Calcutta, founded the group with just three parents, running basic literacy skills sessions with local libraries to encourage reading, writing, speaking and listening skills in English. As more learners joined the session, they set up an accredited ESOL (English for Speakers of Other Languages) course. It’s now so popular there’s a waiting list, and last year, the school partnered with Adult Community Learning to run 10-week Agored Cymru accredited courses for each term in confidence building, childcare and digital skills. The Inspire! Awards, taking place on 6 June, ahead of Adult Learners’ Week (18 -24 June), celebrate the achievements of exceptional individuals, projects and organisations who’ve shown passion, commitment and drive to improve themselves, their community or workplace through learning, often in the face of difficult circumstances. They also aim to highlight opportunities to continue developing and learning new skills as an adult, and celebrate the positive impact of adult education on skills and employability. The group will receive the Closing the Gap award at the awards, which highlights the critical role that parents have in supporting their children’s progress and attainment at school – and the importance of building parents’ skills in order to help raise the attainment and aspirations of their children. “When we started, it was a tiny team with no funding or infrastructure, with the school donating resources and tea and biscuits for parents,” said Christina. “We used to encourage people to read six texts, from a newspaper to a novel and they got a certificate when they reached six. Christina, who speaks Bengali, Hindi and Urdu and attends parents evenings at the school as a support and translator, added: “Parents tell me they’re now reading more at home and it’s great to see them getting involved with school events now they have more confidence to speak to others. “I had a woman join in September whose son was struggling with maths and since she’s started, he’s doing so much better and is now on course for a good mark at GCSE. Daxa Narane is a parent of a former pupil who started the courses two years ago after arriving in the UK from Daman in India in 2015. She had limited English language skills and the course helped her to gain a job as a kitchen assistant. Daxa, 44, from Roath, said: “I wanted to learn to be confident in the language so I could help me and my children. I can now speak and write simple sentences in English and I have an ESOL entry 2 qualification. The Inspire! Awards and Adult Learners’ Week are co-ordinated by Learning and Work Institute Wales in partnership with the Welsh Government and other supporters, including The Open University in Wales. Eluned Morgan, Minister for Welsh Language and Lifelong Learning, said: “The Inspire! Award winners and their hugely inspirational stories show just how transformational learning can be – whatever our age or circumstances. “Many of the winners have faced incredible challenges on the way. It hasn’t been easy and each one should be immensely proud of their achievements. The Inspire! Awards are hosted each year ahead of Adult Learners’ Week which celebrates lifelong learning; whether work-based, as part of a community education course, at college, university or online. It’s funded by The Welsh Government and the European Social Fund and organised by the Learning and Work Institute Wales.